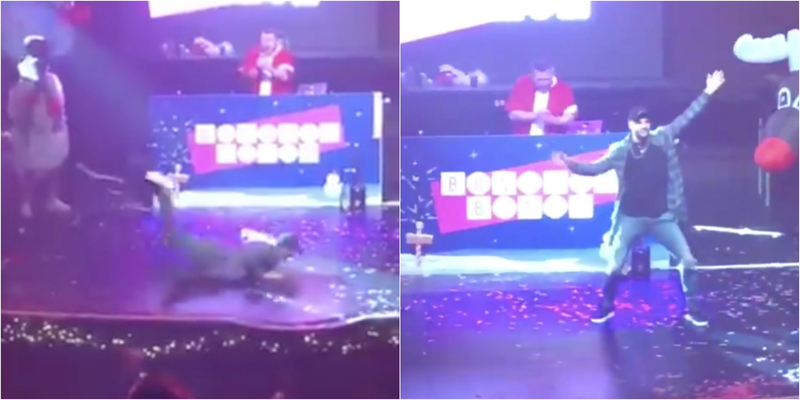 WATCH: Kyle Walker shows his moves at Bongos Bingo! It's been a fantastic year for defender Kyle Walker, who's move to Manchester City has seen his game reach new heights. The full-back made a mega money move to the Etihad Stadium for a fee in the region of £45m and he's been a mainstay in Pep Guardiola's all conquering side that made history. The Citizens won the Premier League title back in May after accumulating a record 100 points - something thats never been done in a 38 game season in English football. Alongside that he also lifted the EFL Cup in February which was his first major trophy in professional football and we're sure there's more to come. He also was an important part of Gareth Southgate's England side that surprised everyone at the World Cup in Russia this summer, where the Three Lions were cruelly eliminated in the semi-finals. So all-in-all it's been a year to remember for Walker and on Wednesday night he was out in Manchester celebrating just before the frantic Christmas schedule. The 28 year-old was caught on camera by @JackG__97 at Bongos Bingo at Albert Hall, where it's fair to say that he took centre stage! He went up in front of a watching audience and showcased some absolutely incredible moves - it's now easy to see how he beats so many defenders in the Premier League! The former Spurs man even whipped out the worm which got a huge reception from everyone in there!